You’ve heard about the large amount of daily nutrients and vitamins your body requires: Vitamin D, antioxidants, manganese, flavonoids, calcium, and more. 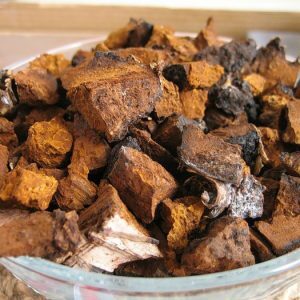 Imagine obtaining part of a healthy daily dose of all these bioactive components in one simple form: enter the chaga mushroom. Found growing on birch trees in the cold climates of the Northern hemisphere, chaga is a virtual cornucopia of essential vitamins, nutrients, and health-supporting benefits. 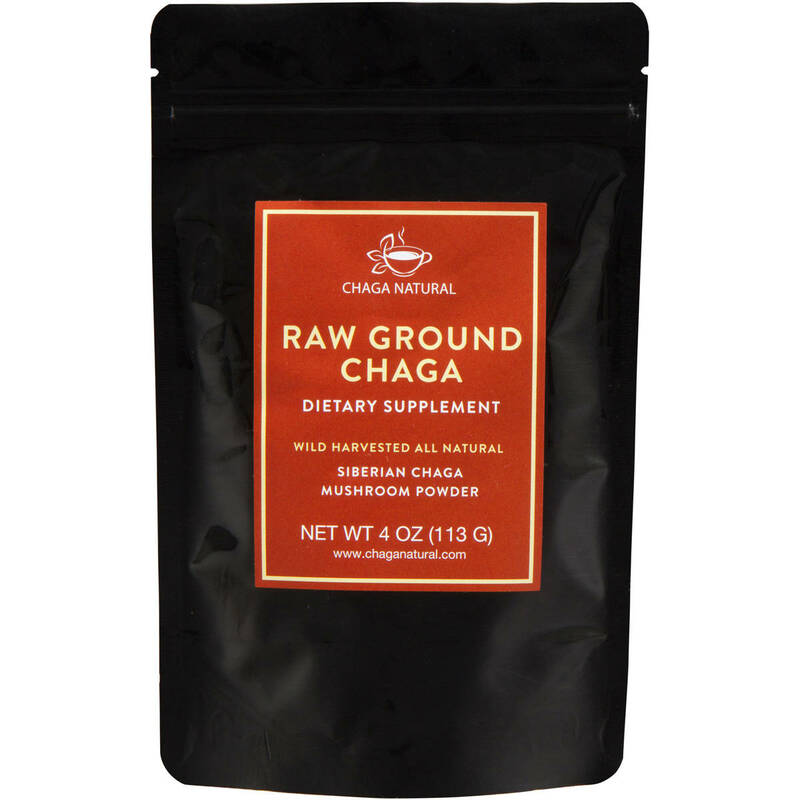 At Chaga Natural, our raw chaga powder is an affordable way to mix in the benefits of the raw mushroom with hot water for a robust beverage, or with your favorite juice or smoothie. Chaga grows from the inside out. 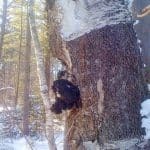 While you may not be familiar with the chaga mushroom, that doesn’t mean it’s new to the health world. Ancient Chinese herbalists used the potent fungus, as well as Siberian folk medicine practitioners as early as the 16th century. Today, scientific and holistic communities have recognized the amazing benefits of the mushroom, and the popularity of chaga is spreading quickly. Traditionally brewed as a tea, raw chaga is wild harvested and then ground into powder to be used for maximum absorption. 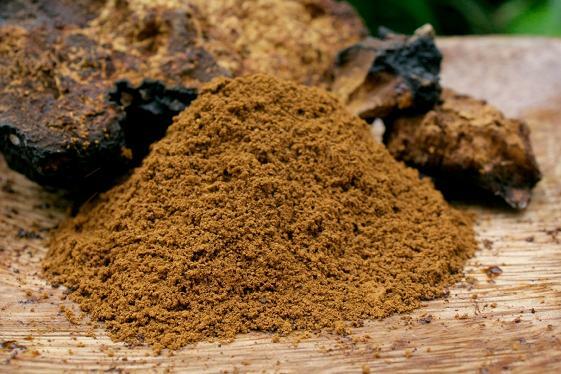 Consuming raw chaga in its freshly harvested form is not recommended due to the indigestible mushroom cell wall, our ground chaga powder needs to be brewed in order to get health benefits. 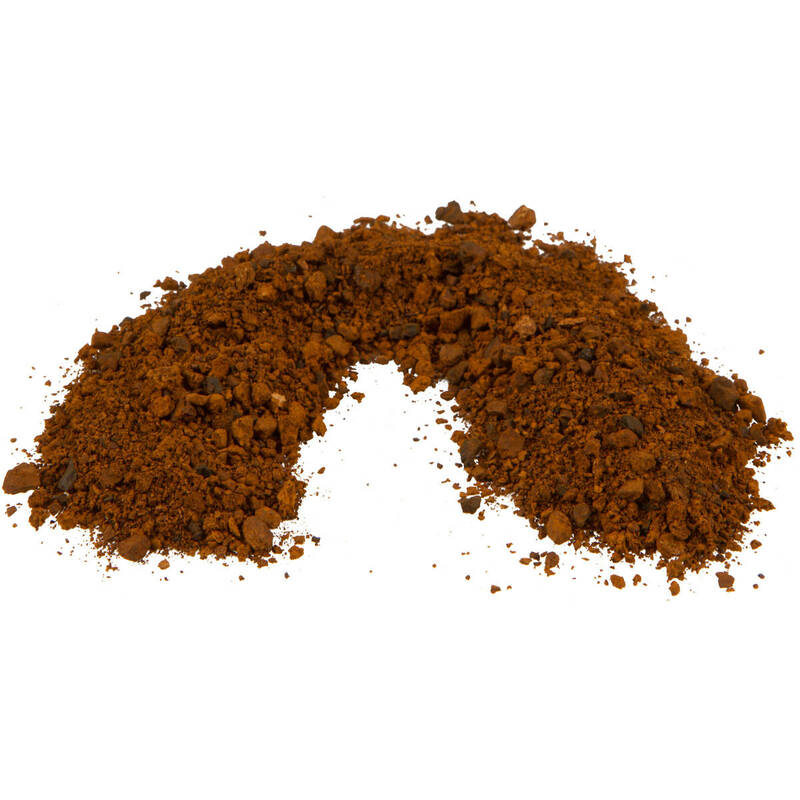 Raw chaga mushroom powderis a strong adaptogenic dietary supplement, which means in every beverage you drink the chaga is working to support stress reduction and helping to boost your immune system*. Because chaga is caffeine-free, you’ll also feel an energizing lift throughout the day without relying on coffee or energy drinks. 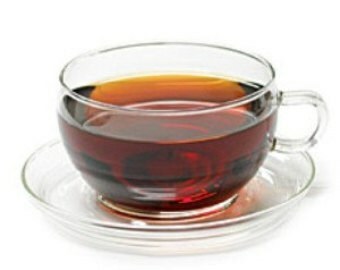 Your stomach will thank you as the polysaccharides in chaga powder promote digestive health. Additional nutrients such as magnesium and flavonoids assist in proper function of bodily systems, and help you metabolize food, allowing you to maintain a healthy weight while on a sensible diet and fitness regimen*. 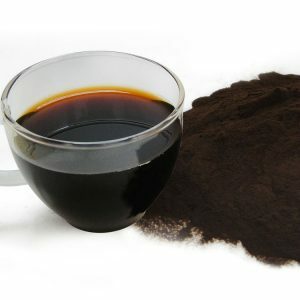 For best results, stir 4-5 teaspoons of raw chaga mushroom powder into a glass or mug of warm water (no hotter than 122º F) for a woodsy, velvety tea-like beverage that tastes faintly of vanilla. Add honey or sugar to temper any bitterness. We also recommend taking a week-long break from chaga powder every 28-30 days to allow your immune system to reset before you begin another cycle. 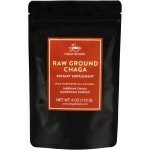 Why grind up raw chaga? 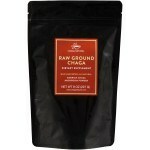 Think of it as if you tried to simmer coffee beans without first grinding them. Not only would the process be inefficient, but the taste would not be palatable and health benefits not as accessible. By grinding the chunks into a fine powder, you increase the surface area or amount of particles that contact the hot water, thus allowing the chaga to release its water-soluble contents more easily. Adhering to this scientific truth, at Chaga Natural we know that the finer powder, the better. 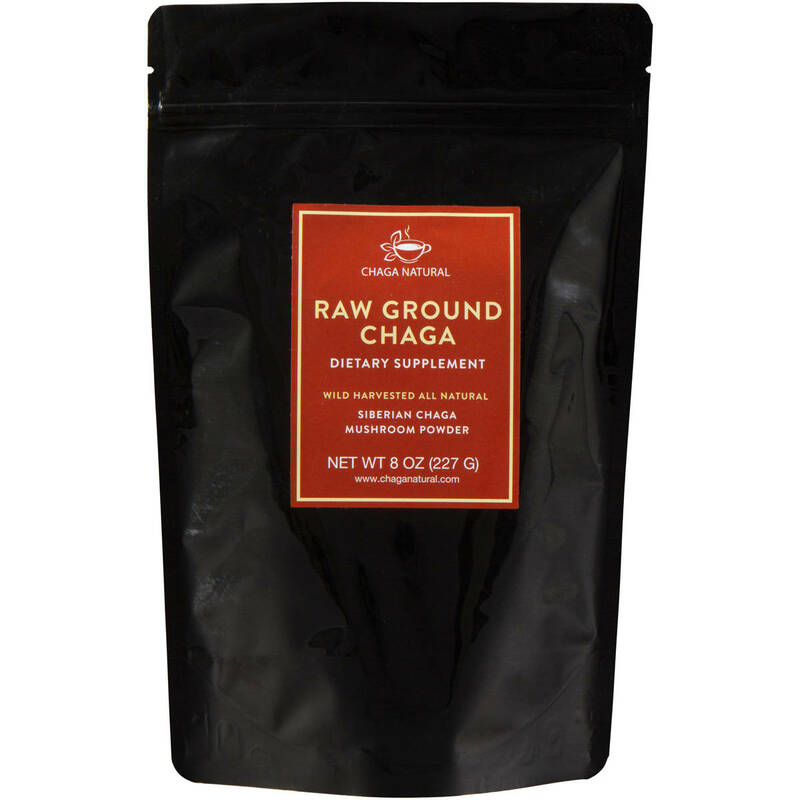 When you choose our raw chaga mushroom powder, you’re committing yourself to ongoing, impeccable health. We hand-pick only the highest quality chaga using sustainable harvesting methods, and guarantee that our products are 100% natural and gluten free. Nurture your body today with Chaga Natural chaga mushroom powder, and gain a new level of vibrant health.